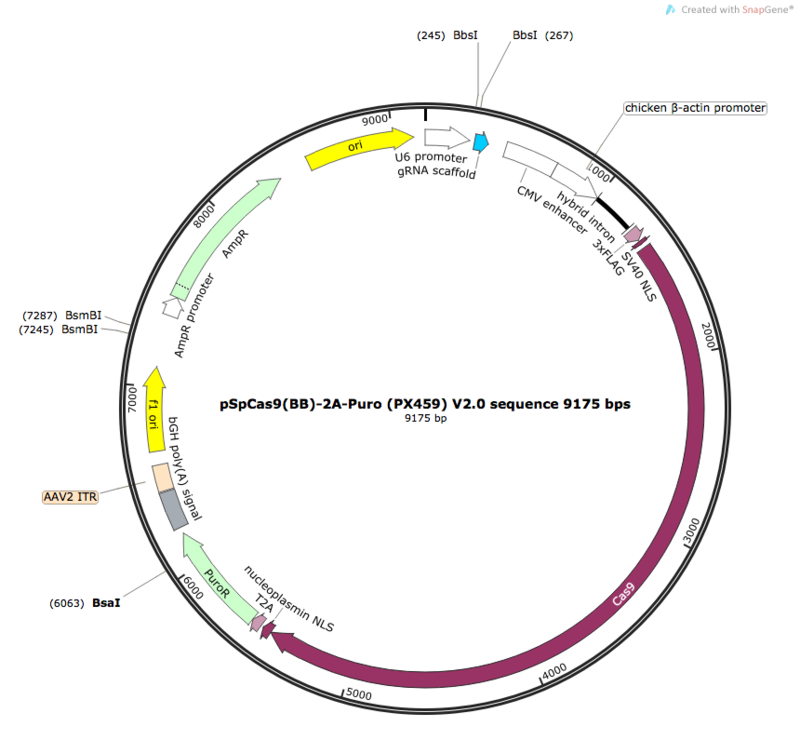 NOTE: This is an improved version of Addgene Plasmid #48139. It has improved puromycin selection. The EcoRI site is not unique and flanks the puromycin cassette. 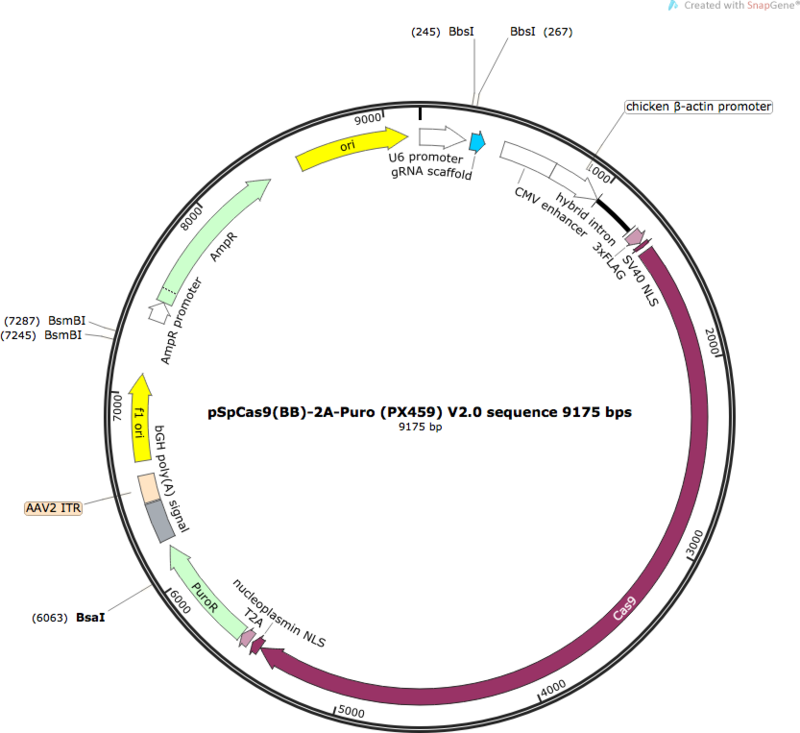 The guide sequence is cloned into this plasmid using BbsI sites. 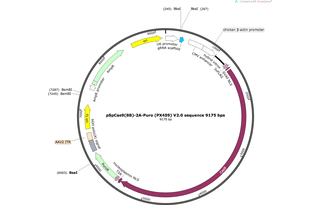 The hU6-F primer (5'-GAGGGCCTATTTCCCATGATT-3') can be used to confirm the gRNA sequence after cloning into the plasmid. Please see the cloning protocol provided by the Zhang lab for more details.